I needed some flats, if i had worn heels during a 6hr shopping trip i think i might have died! My first pair are a lovely faux leather new look boots. They are so comfy, and i love them. 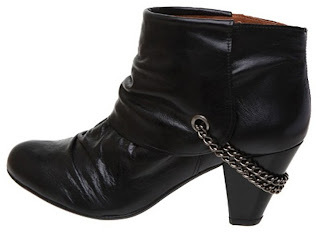 Next up are a tad more pricey than my £25 Newlook boots, these gorgeous leather Dune Maddison ankle boots set me back £95, but i would say they were worth it :) I love the chain detail. (i apologise for my dirty mirror!